U.S. Army soldier Justin Walters, 32, has been accused of killing his wife and a state trooper and injuring another woman on Sunday, July 9. He then gave himself up to police. Walters lived in a double-wide trailer in Theresa, New York, with his wife Nichole. On Sunday around 8 p.m., a woman, whose family lives nearby, heard gunshots. She walked outside and was shot in the torso, allegedly by Walters. New York State Police received reports of gunfire and a domestic dispute. Trooper Joel Davis, 36, arrived on scene at 8:09 p.m. and, as he approached the trailer, was fatally struck by a single bullet. Nichole Walters, 27, was found dead on site. Walters gave himself up to police without further incident. The neighbor was taken to a hospital with a non-life-threatening injury, Watertown Daily Times learned. Walters is an active duty Army infantryman stationed at nearby Fort Drum. He was accused of first and second degree murders on Monday morning and is being held without bail. 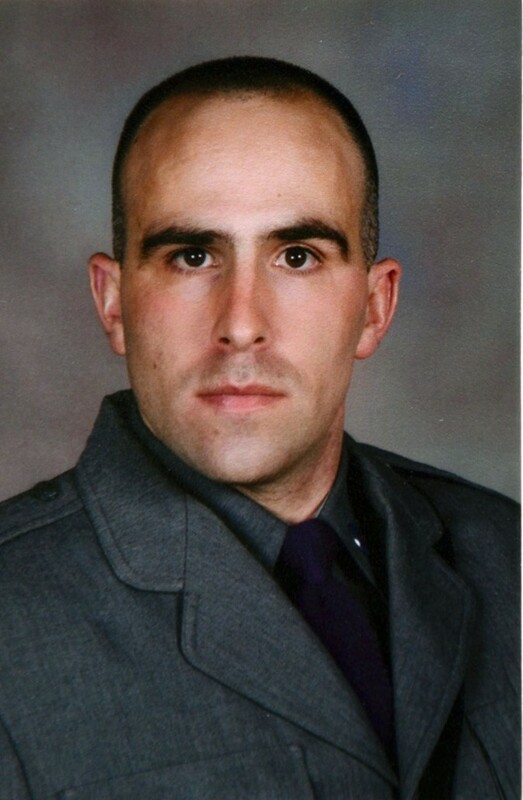 Trooper Davis, of Evans Mills, New York, has been with the force for four years. He left behind a wife and three children. Three years ago, the Walters family had a boy, Heavy.com found out. It is not clear if the boy was with the family at the time of the shooting. Reuters contributed to this article.